San Francisco, CAOn March 27, a jury in Hardeman v. Monsanto Co., a Monsanto glyphosate lawsuit awarded Edward Hardeman more than $80 million. A third trial, Pilliod v. Monsanto Co. is well under way. Allegations have flown about untoward jury influence, and U.S. District Judge Vince Chhabria has begun to push the parties’ attorneys toward settlement. Things are now moving very fast in the world of Monsanto glyphosate lawsuits. Edward Hardeman used RoundUp and other Monsanto products kill to weeds and overgrowth on his 56-acre Sonoma County property in the 1980s and continued using them through 2012, according to his attorneys. He was diagnosed with non-Hodgkin’s lymphoma in 2015.The first phase of his lawsuit against Monsanto, which concluded on March 19, found that Monsanto RoundUp was a substantial factor in causing his cancer. 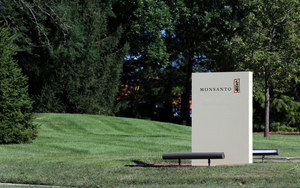 The second phase of the trial, which ended on March 27 found liability on the part of Monsanto and its corporate parent, Bayer AG. The jury found that Monsanto should be held liable for Hardeman’s illness because it failed to include a label on its product warning of the weed killer’s risk of causing cancer. Evidence that Monsanto’s own internal studies had cast doubt about the product’s safety certainly played a part in the decision, as did evidence of the company’s efforts to influence government studies about the product’s safety. The verdict was a milestone in the continuing public debate over the health effects of Roundup and its active ingredient, glyphosate, the world’s most widely used weed killer. The first part of the decision was about the science. The second part of the lawsuit was about accountability. That’s the legal issue. The jury in a previous Monsanto glyphosate lawsuit awarded DeWayne Johnson, a school groundskeeper $289 million, which was later reduced to $78 million. Johnson, a Northern Californian groundskeeper and pest-control manager used RoundUp for years. He was 42 when he developed a strange rash that would lead to a diagnosis of non-Hodgkin’s lymphoma in August 2014. From a legal standpoint, however, neither of these cases has precedential value on the issue of whether glyphosate-based herbicides actually made anyone sick. The individual factors involved in disease and progression are simply too various. Taken alone, they have little precedential value because accidents, happenstance, misadventure and individual risk factors may mean a deadly outcome in one case and not another. Bad luck. The issue of liability, however, is a little different because it depends on proof of misdeeds. The trial courts not only found that RoundUp caused cancer, but that Monsanto knew about the risk and did nothing to guard people against the harm. That’s fault — not simple bad fortune — and it’s more important. Together, the two parts of these judgments provide powerful encouragement toward settlement and rough out a possible range for an award. 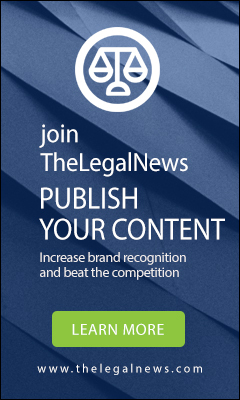 This is the background against which the Pilliod Monsanto glyphosate lawsuit takes place. Alva and Alberta Piolliod, a married couple in their 70s, both developed non-Hodgkin lymphoma after years of RoundUp use. Alberta suffers from brain cancer and Alva has cancer of the spine and pelvis. Neither used protective gear, and the facts of their situations are facially similar to those set forth in the Johnson and Hardeman lawsuits. Geofencing is a scheme that delivers specific advertising content, about the safety of RoundUp for example, to anyone within a specific geographic area designated by the company. The designated area may be extremely small – as small as a few miles of the courthouse, perhaps. Anyone within that geographic area using an app on a smart phone may receive the message. Plaintiffs’ attorneys had raised the issue of geofencing in the Hardeman case after becoming concerned about its use in the Johnson lawsuit. Having seen it before, they thought they recognized it again. Roughly 11,000 plaintiffs have sued Monsanto. Most of the Monsanto glyphosate lawsuits, like Pilliod, are filed in various state courts. Others are consolidated in a federal multidistrict litigation (MDL) in Northern California. More than 800 MDL lawsuits are being overseen by Judge Chhabria. In both state and federal lawsuits, the schedule looks daunting. Observers have speculated that a global settlement might run between $3 billion and $5 billion. This is a place to watch.